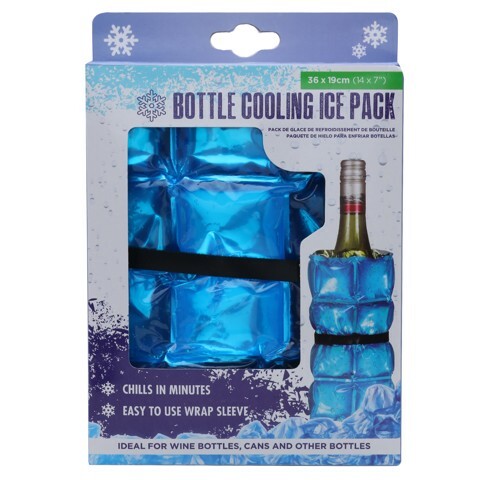 Bottle Cooling Ice Pack. 36 X 19CM. BLUE. PE | NYLON | ALUMINIUM FOIL | PURIFIED SALINE WATER. 252G Packaging: HANG SELL PRINTED WINDOW BOX.